Fire & Light glassware Goblets... luminous, breathtaking glass art. 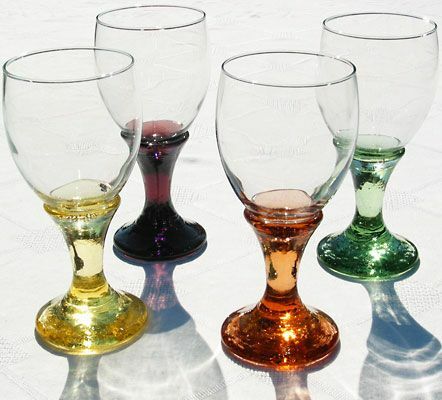 Created for both form & functionality, Fire & Light glassware is known for its vibrant color & texture. Fire & Light Goblets...the perfect addition to your ever growing collection of Fire & Light dinnerware. Add these goblets as an integral part to your place settings. The crafts people at Fire & Light handcraft artful pieces of glassware one by one, much as it has been done for centuries, preserving the rich tradition of American hand pressed glass & utilizing a once wasted resource...post consumer recycled glass. "As a country, the U.S. throws out enough glass to fill the Empire Stae Building every day. As a company, Fire & Light turns some of this trash into treasures." Fire & Light Glassware Goblets.